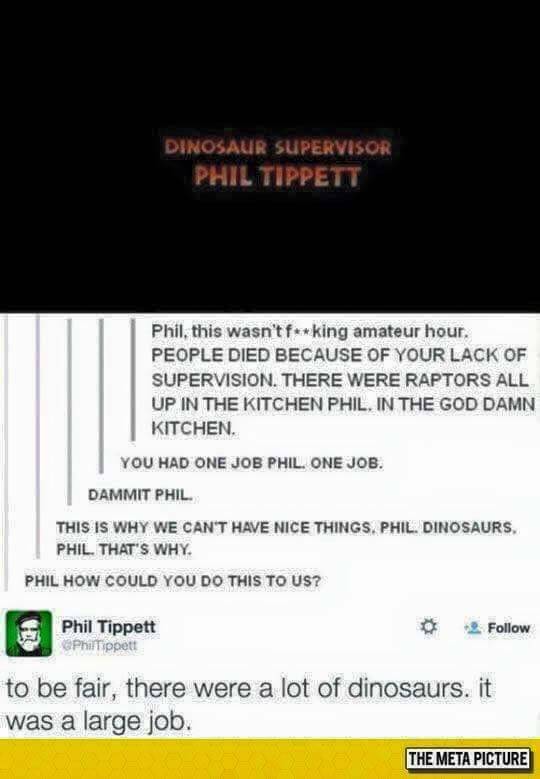 Sorry, Phil 'Dinosaur Supervisor' Tippett - we got it all wrong. Here we were assuming that keeping an eye on a load of colossal carnivores in a giant prehistoric park would be a veritable walk in the (ahem) park - but having now had the chance to take the helms of one ourselves, we have to say it's a lot harder than it looks. Which is perhaps not saying an awful lot, seeing as none of the other Jurassic Parks have exactly gone off without a hitch either. Dinosaurs always bring in the crowds. Jurassic World Evolution, from Cambridge based Frontier Developments - the folks behind legendary theme park sims like Rollercoaster Tycoon, and more recently, Planet Coaster - takes theme park management in a bit more of a dinosaur-y direction, tasking you with creating, managing and expanding your own version of the iconic Jurassic Parks. Set across a collection of five islands ominously known as the 'Five Deaths', you'll need to balance new dinosaur research with the day-to-day care of your prehistoric charges - including the inevitable breakouts and murderous rampages - all while trying to keep your guests happy, and turn a profit. Essentially, expanding your theme park boils down to three main steps. First, you need to send off your expedition teams to dig sites around the world in order to recover some fossils - something which is handled through a simple menu, rather than anything more interactive. When the teams report back with their findings, it's up to you to extract DNA from said fossils to gradually build up a specific dino's genome, before you can incubate, hatch and release your brand new dinosaur on your unsuspecting public (protected by a huge metal fence, obviously - we don't want a repeat of last time). Other guest amenities, such as gift shops and restaurants, as well as rangers and ACU teams (that's Asset Containment Unit to me and you) to take care of your dinos come in handy too, but the basic loop is very much about discovering, creating and releasing new dinosaurs. The more fossils you can analyse, the more of the genome bar you can fill - which gives your incubated dinosaur a better chance of surviving and hatching. Along the way, you'll be bombarded with requests from three 'factions' within the Jurassic Park facility - security, entertainment and research. Each has their own set of priorities for park development, and for some reason that isn't particularly clear, they all seem to have some kind of vicious rivalry, whereby completing a task for one will hurt your reputation for the other two. The better your reputation with a faction, the better missions they'll give you, and the better rewards (more money, mostly) you'll earn, so it's well worth cultivating a good relationship with all three areas, as you'll need to reach a certain level with each to 'finish' each island and move on to the next. One of the game's stranger missions involved testing your dino defences by releasing a live dinosaur on the park. However, Jurassic World Evolution isn't the easiest of beasts to get into. In fact, you're mostly left to your own devices to figure out how everything works, from creating your own cages, to actually getting your dino park up and running on a new island. A basic tutorial tries to bring you up to speed, but it glosses over so much stuff, it could well end leading you down the path to disaster. For example, during the opening moments of the game, a tutorial walks you through researching and creating a Ceratosaurus, which, for the uninitiated (i.e. everyone playing the game for the first time) is a carnivore. What it doesn't do is explicitly tell you it's a carnivore, and that you'll therefore need to build it a new enclosure for it, yet alone does it tell you how. From the way it's worded, it sounds like the game would prefer you to release it into the pre-made herbivore enclosure, and kill all the poor, unsuspecting vegetarians within. Which, coincidentally, is exactly what happened to us, before the Ceratosaurus managed to catch a random disease from the dino corpses we had no idea how to dispose of, and died too. So, for Ceratosaurus #2, we made a brand new enclosure, albeit with a lot of trial and error. Needless to say, finding your way around the cage building interface isn't the easiest of things, with the game often throwing up "terrain errors" and "object obstructed errors", without telling you what exactly is clashing with what, or what you can do to fix it. With the cage eventually built, everything was hunky dory - except for the fact we'd forgotten to put an access gate on the enclosure, so the rangers couldn't get in to top up his food. One hangry 20ft carnivore later, and he'd only gone and smashed his way out and into our park - which on the plus side, saved us having to figure out how to get into his enclosure, but on the down side, well, he's about to eat our first guests. At around this time, warnings started helpfully popping up in game to send out the ACU team to deal with the breakout - but of course, we hadn't actually built one yet, and so as our dino quells its hunger with a meal of bite sized humans, we're left scrambling to build, power and deploy the ACU unit. The second it was built, we started mashing the button to send the team out - but little did we realise it defaults to putting you in the shoes of the ACU team themselves, suddenly teleporting us to behind the wheel of a car, as it's left to us to chase down the gigantic dinosaur that's currently tucking into a family, wrestling to fire tranquilliser darts in his general direction (and missing terribly), before crashing into pretty much every obstacle going. Eventually, after quite a protracted chase, we did find a way to deploy the ACU team automatically, and successfully got the Ceratosaurus back behind bars - but not before he'd chomped his way through half a dozen or so guests. Bad dino. Our escape artist Ceratosaurus - back safely behind bars! As you add more dinosaurs and such to your park, your overall star rating will increase, attracting more visitors and greater revenues as you go. Generally speaking, it's fairly easy to increase your rank - just add more dinos and don't have any incidents - but sometimes things happen that can adversely affect your rating through no fault of your own. Like when our aged triceratops, Stampy, decided to keel over from old age. Theoretically, if you can get the ACU in quick enough to dispose of the body, then your visitors shouldn't notice. But, while a rampaging Ceratosaurus hardly affected our popularity ratings at all, a dinosaur dying from old age and quickly being air-lifted out of the cage caused our value to plummet - making us fail one of the 'keep a certain star rating for x minutes' missions we'd been set shortly before, too. Disaster number four came a bit later, on the second island, which, incidentally, just drops you off in a new place with no instructions, goals, objectives, or anything else beyond a couple of empty dinosaur cages, and a few other facilities. Having taken the initiative to create and release a few new dinos of our choosing, disaster struck when all our herbivores managed to come down with a mysterious illness simultaneously. Bracken poisoning, apparently - but without a research building, and without the funds to build one, let alone pay for the research, we were stuck between a rock and a hard place, and they all slowly started to die. Fortunately, we only had about three visitors at the time, so no-one really noticed - not like with Stampy: RIP in peace, old girl - and before long, we were back in profit with some replacement dinos, as if nothing had happened. Emergency shelters provide a safe hiding place for your guests in case of dino escapes or freak tropical storms - the latter being a big problem on the second island of Isla Muerta. Even if our time with Jurassic World Evolution was fraught with disaster (something not made any easier by the game's general lack of guidance - which we are still more than a little bit put out by), this is a game that's still a lot of fun - and if anything, the set backs are a large part of the journey, as you slowly figure out how to make the dino park work, and learn what to watch out for. The fundamental park management aspects, and a rather addictive find-research-create loop for getting new dinosaurs and expanding your park is nicely done, making for an enjoyable management sim in a genre that's far too rarely seen on consoles. And let's face it - disastrous though many of our attempts may have been, considering the track record of the professionals captured on the big screen, it's probably a fairly authentic simulation anyway.